Research is critical for developing HIV and tuberculosis (TB) programming for U.S. African-born communities, and depends on successful recruitment of African-born people. From January 2014 to June 2016, we recruited African-born people for HIV and TB research in King County, Washington. We compared the characteristics of study participants and the underlying populations of interest, and assessed recruitment strategies. Target enrollment for the HIV study was 167 participants; 51 participants (31%) were enrolled. Target enrollment for the TB study was 218 participants; 38 (17%) were successfully recruited. Of 249 prior TB patients we attempted to contact by phone, we reached 72 (33%). Multiple recruitment strategies were employed with variable impact. Study participants differed from the underlying populations in terms of gender, country of origin and language. 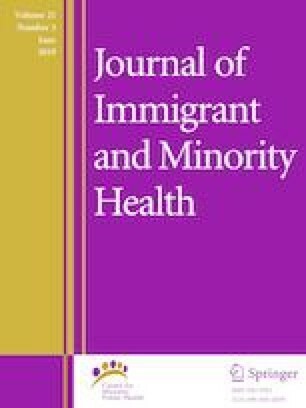 Inequities in research participation and in meaningful opportunities for such participation may exacerbate existing health disparities. RK was supported by NAID K01 AI095060. This research was further supported by the UW Center for AIDS Research (NIH AI027757), NCATS/NIH for REDCap (UL1 TR002319), and the Firland Foundation (201108). The study authors wish to thank the community partners who provided support for this project. U.S. Census Bureau. Profile of selected social characteristics: 2000. American Fact Finder, Census 2000 Summary File 2003 (SF 2003)—sample data. https://factfinder.census.gov/faces/tableservices/jsf/pages/productview.xhtml?src=CF. Accessed 20 July 2017. U.S. Census Bureau. United States Quick Facts. 2016. http://www.census.gov/quickfacts/table/PST045215/00. Accessed 29 June 2016.